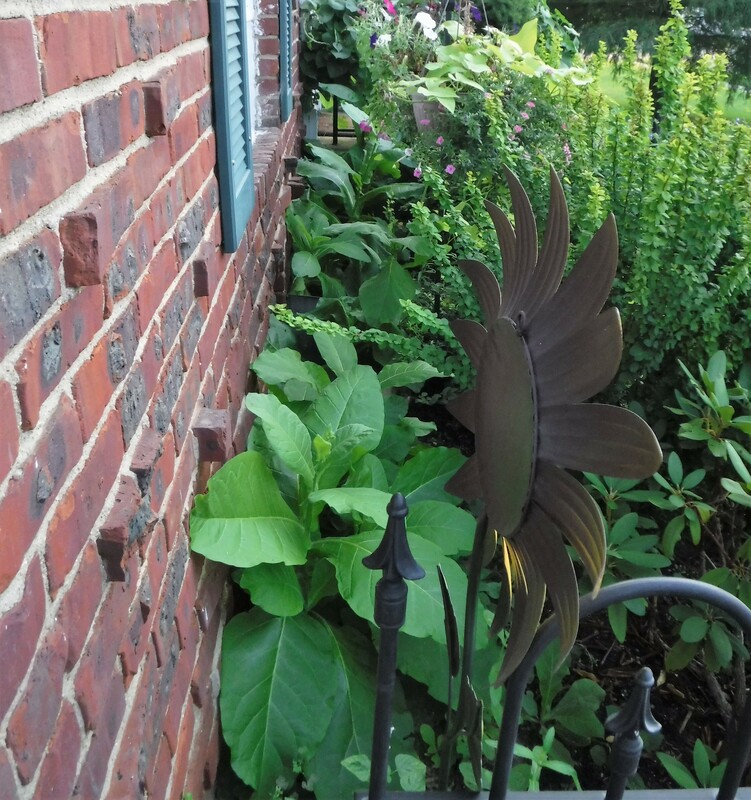 Last year, when my flowering tobacco set seeds, I picked the pods and shook hundreds of seeds into the back border of my front garden. Although the seeds were just tiny specks, they wintered over great and hundreds came up in my garden. I didn’t thin the sprouts, I let them battle it out and only the fittest survived. 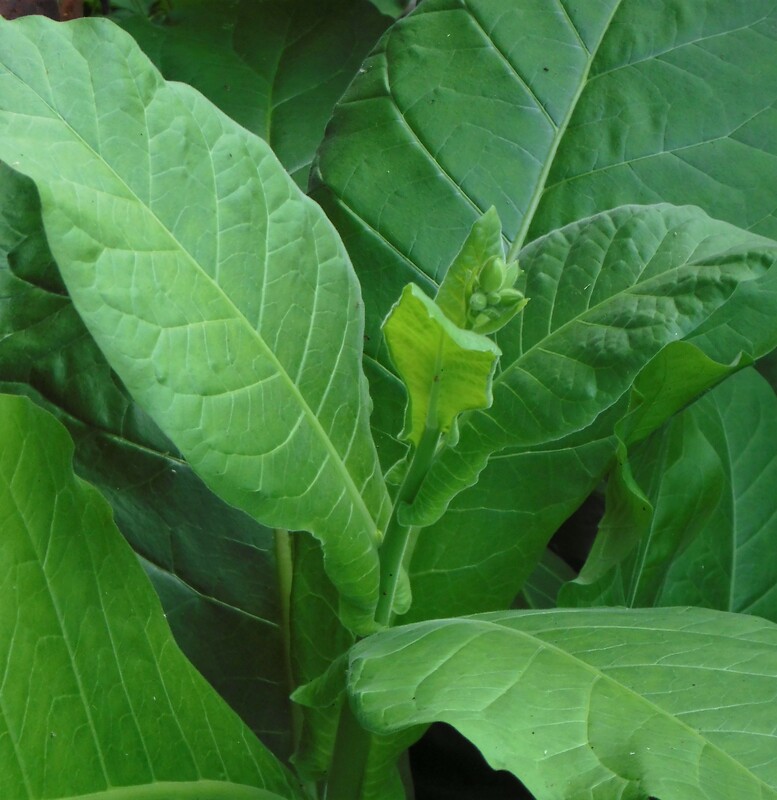 Because they were not started early indoors they are just beginning to flower now, which suits me fine, other annuals have bloomed and died and it’s nice to have the flowering tobacco coming into bloom in late summer. These plants don’t need any special care. In New Jersey they grow up to 48 inches tall. 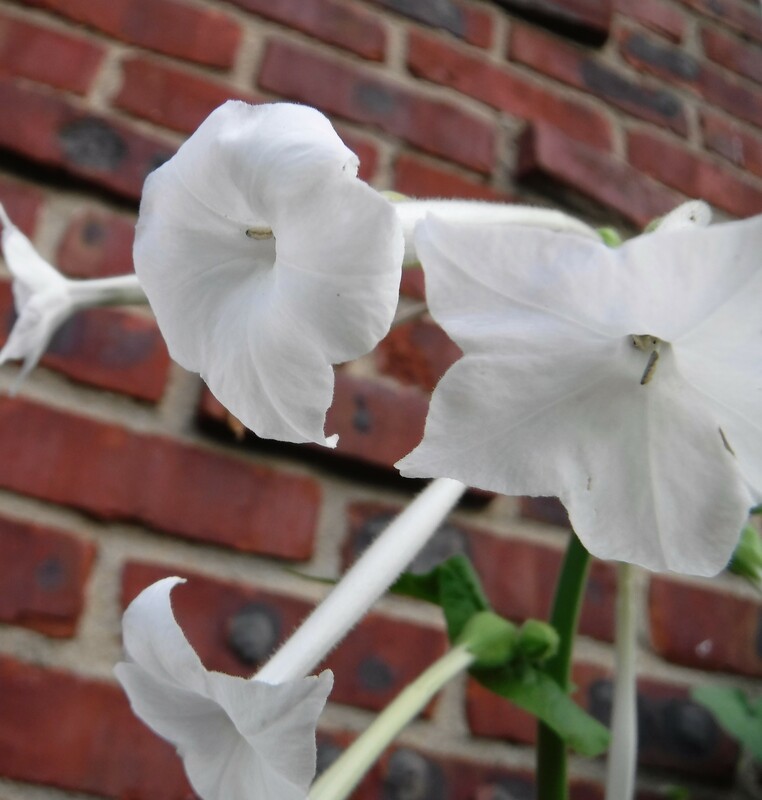 The large leaves stay low to the earth, while the flower spike climbs and is eventually covered in a spray of fragrant tubular white flowers. Another plus is my plants don’t seem to be bothered by many insects pests. The flower perfume is strongest in the evening. 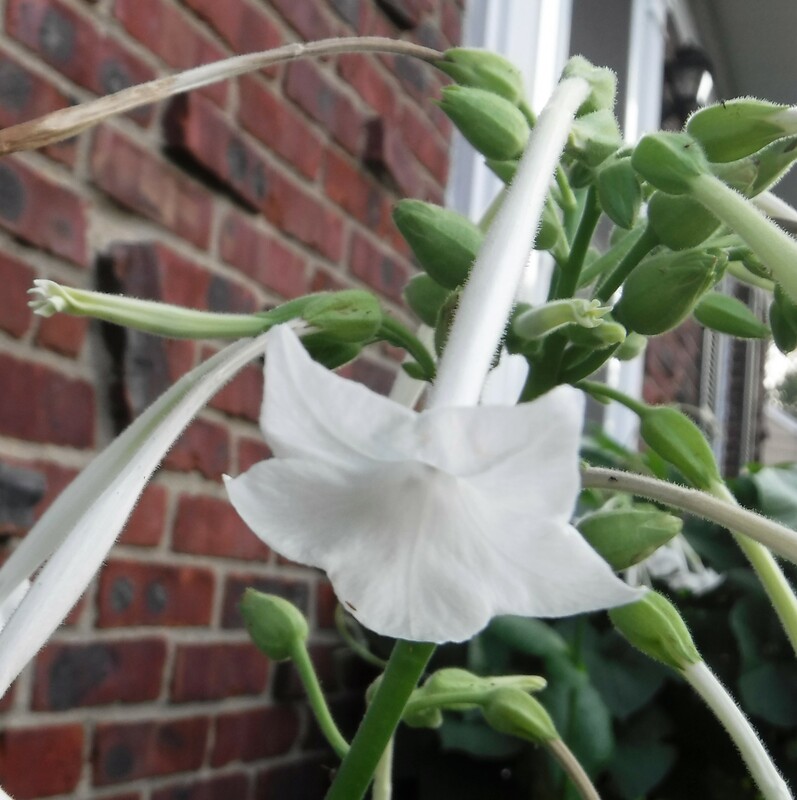 The flower stalk is strong and rarely needs staking. The plant grows best in full sun, but mine do well in part shade. I recommend these for a nighttime garden or the back of a border. The white flowers reflect the moonlight and fill the air with amazing scent. 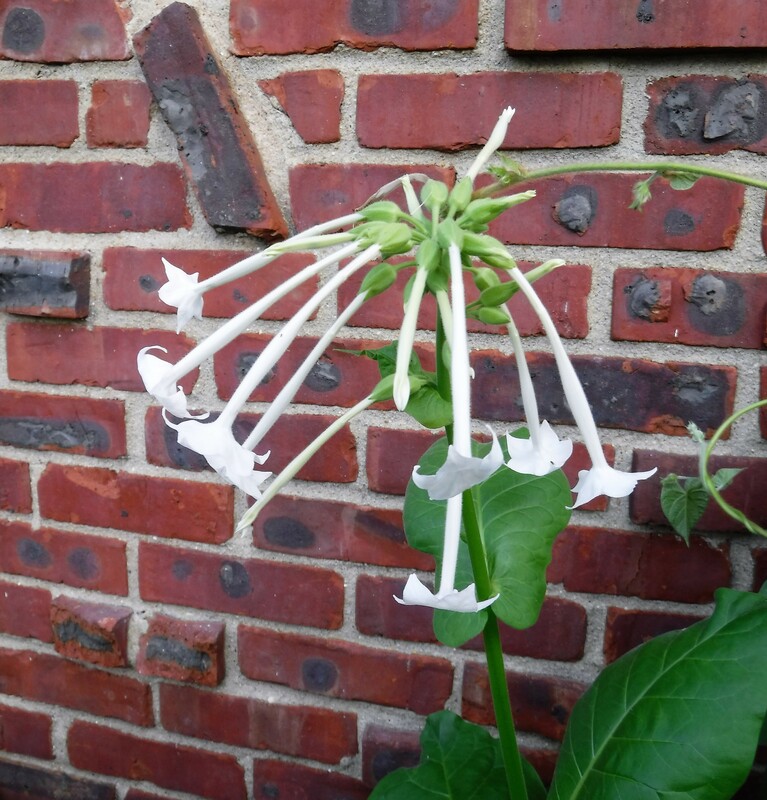 I have seen these flowers before but never knew they belonged to the Tobacco family. I would have thought they were tube roses or something like that. Thanks for sharing the pictures, Kathy. That might be a kind of plant I wouldn’t kill. Yours are lovely. They are very easy…just sprinkle where you want them to sprout in the Autumn, and late Spring…they show up…just like excellent guests! I never heard of the plants but very interesting I would like to have a few seeds to sprinkle under my windows as they w0uld get full sun and give me something pretty to look at Thanks for all the info. I’m always aware of wood rot so I can’t plant up against the walls of the house. – the disadvantages of not iving in a house of brick. Potted plants work sometimes but not as impressive as the one in your photos. Thanks! It’s been a good summer for them.